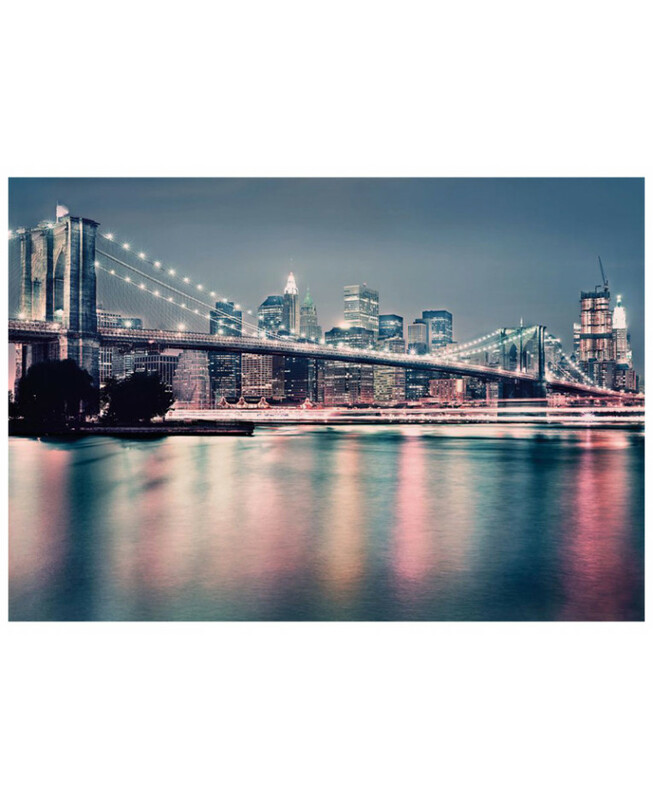 Have a slice of The Big Apple in your home with this New York Brooklyn Bridge Neon Photo Wall Mural! The stunning mural is printed using fade free, UV-stabilised ink onto high quality paper to ensure a fantastic finish. The mural features an image of Brooklyn Bridge at night in pretty pink and blue tones and is a great way to create feature wall in any room. For best results, treat the mural as conventional wallpaper and follow the simple instructions included.